Introducing the CorkSport Power Series Cat-Back Exhaust for 2016+ Mazda CX-9 AWD. Like all CS exhausts, high-quality materials and manufacturing are combined with OEM fitment to provide you with a great sounding and looking exhaust. While it may not drive like the weekend sports car in your garage, at least your CX9 can sound like one! Check out the video and information down below for full details and sound clips. NOTE: Adding a performance exhaust to a vehicle will increase exhaust noise and drone inside the cabin of the vehicle; a great example of this is shown in the below video starting at 2:09. If you are new to vehicle modifications and/or are unsure of how the performance exhaust may effect the sound inside the vehicle, please give us a call, at (360) 260-2675, so we can better help you understand what to expect with a performance exhaust. 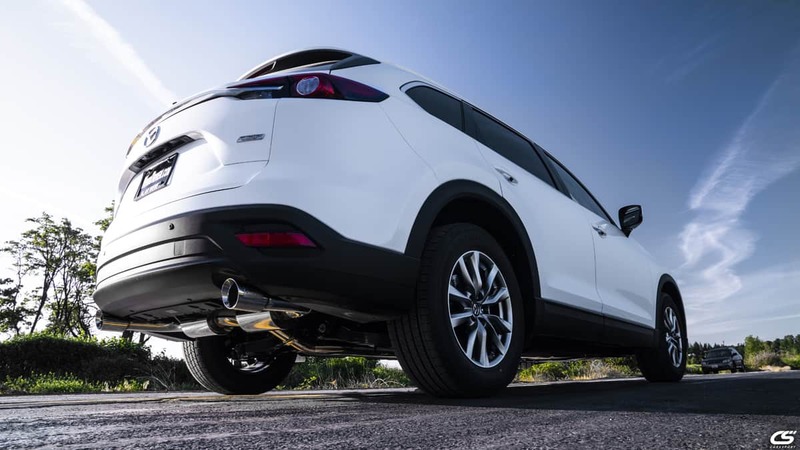 The CorkSport Cat-Back Exhaust gives the turbocharged 2.5L in the CX9 the chance to breathe better thanks to the upgraded piping and resonators. The larger diameter 80mm piping allows for more peak flow while the flow-through resonators eliminate the restrictions and the indirect flow path of the OEM chambered muffler. Increased flow is great but what you are going to notice day to day is the sound and look. The larger piping and resonators give a louder and deeper sound that is plenty loud when you want it to be, but still comfortable for daily driving. As a bonus, there is a touch of turbo noise under hard acceleration! To remedy the tiny OEM tips, the CS exhaust tips were upgraded to 100mm, slant cut, and extended out slightly to really finish off the rear end of the CX-9. 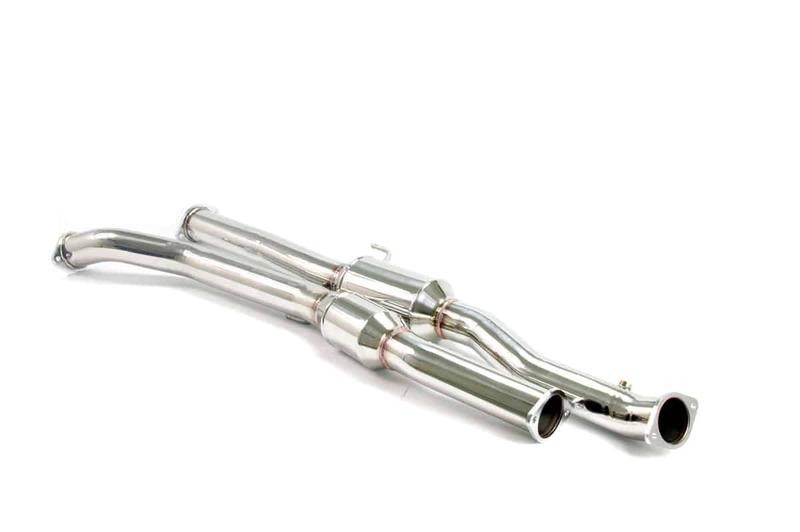 All components in the CorkSport Cat-Back Exhaust are made from fully polished T-304 stainless steel. 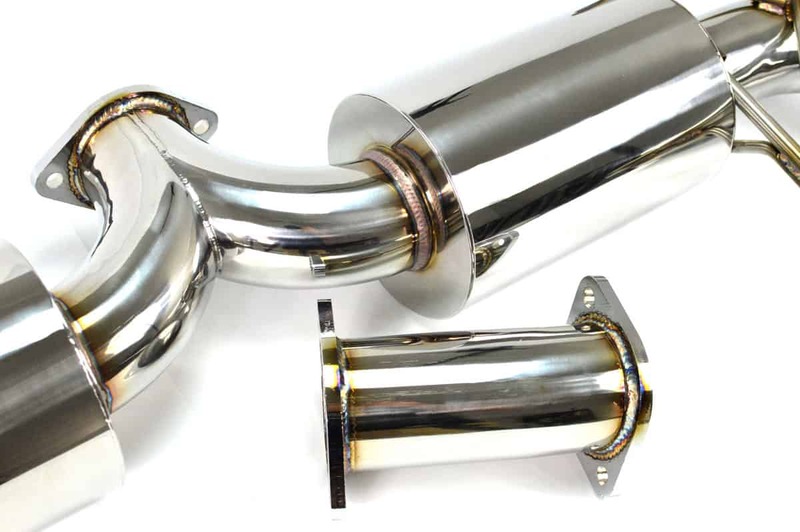 Stainless steel’s high corrosion resistance ensures that your exhaust will stay strong and look great over time. The piping is CNC mandrel bent, the flanges laser cut, and each joint is precision TIG welded for the utmost in quality and strength. All OEM mounting points and oxygen sensors are retained to ensure an easy install and no check engine lights. Laser engraved CorkSport nameplates are added to the tips for a finishing touch. NVH (noise, vibration and harshness) in the cabin of your vehicle will be increased by the installation of this exhaust. We highly recommend you view the above video to hear the exhaust note outside and inside the vehicle. The inside vehicle footage starts at 2:09. If you have any questions about the expected noise from the performance exhaust, please give us a call, at (360) 260-2675, so we can better help you understand what to expect from a performance exhaust. Please Note: Due to the nature of the product, all sales are final if the part has been installed. It will take you three hours to install the CorkSport CX9 Cat-Back Exhaust with our easy-to-use instructions.